Kathleen Rubins is a NASA Astronaut with a background in Biomedical engineering, set for her first spaceflight in 2016 as part of ISS Expedition 48 and 49. Born October 14, 1978 in Farmington, Connecticut, Rubins was raised in Napa, California where she attended Vintage High School. She received a Bachelor’s Degree in Molecular Biology from the University of California, San Diego in 1999. Rubins conducted her undergraduate research on HIV-1 integration at the Infectious Diseases Laboratory of Salk Institute, analyzing the mechanisms of HIV integration into the DNA of a host. Kate Rubins holds a Ph.D. in Cancer Biology, received from Stanford University in 2005. Working as part of a team of the Army Medical Research Institute of Infectious Diseases and the Centers for Disease Control and Prevention, Rubins contributed to the development of the first model of smallpox infection. Completing further work in that area, Rubins studied the transcriptome of the pox virus and virus-host interactions. She accepted a position as a lead researcher at the Whitehead Institute of Biomedical Research, MIT heading up a team for an investigation of viral diseases that affect Central and West Africa. As part of her work, Rubins spent time in the Congo, focusing on treatment development for Ebola and Lassa Fever. 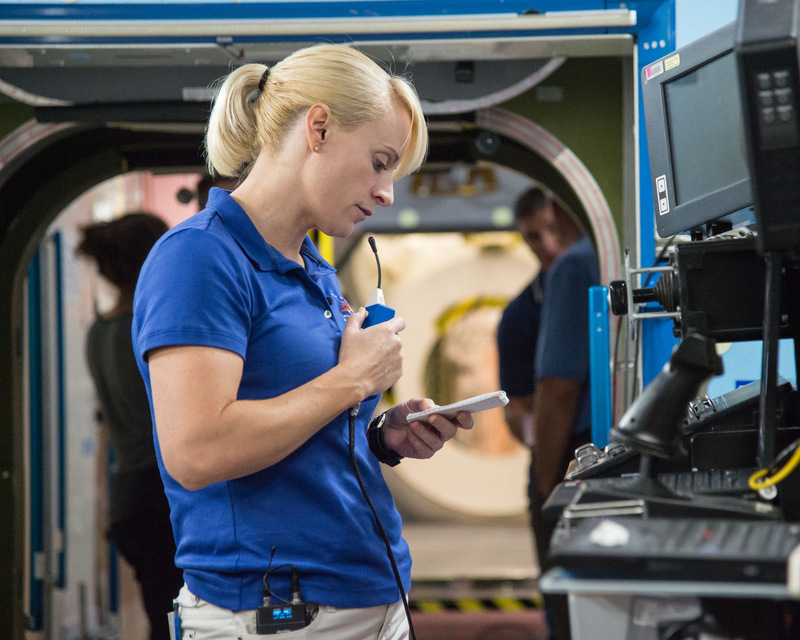 NASA selected Kate Rubins in 2009 as part of the 20th Astronaut Group. At the Johnson Space Center, she participated in two years of general training and evaluation. She finished basic training in 2011 and was certified as astronaut, entering the astronaut office in support of mission operations. 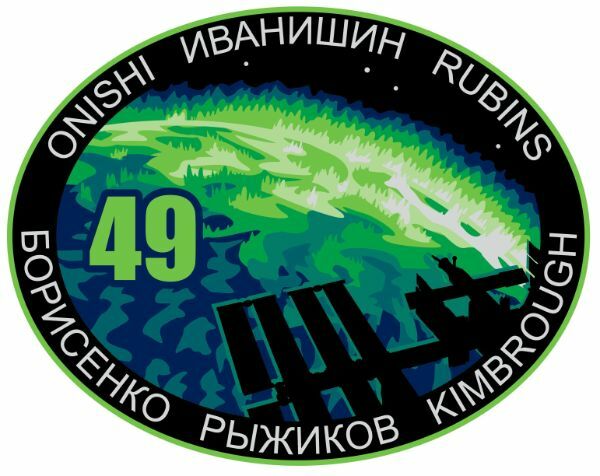 Rubins was assigned to the crew of Soyuz TMA-20M and ISS Expedition 48/49 in the spring of 2014. A shift in mission schedules would lead to a switch in the crew’s Soyuz spacecraft, making them the first Soyuz MS crew. Following the crew selection process, the three crew members began flight specific training. At the Gagarin Cosmonaut Training Center, Rubins completed extensive Soyuz training, learning about the different systems and their functionality to prepare for her role as Soyuz Flight Engineer. At the Johnson Space Center, she was familiarized with NASA Mission Operations and began extensive training for USOS operations including scientific activities, systems maintenance, emergency procedures and EVA operations. In Canada, at the Canadian Space Agency, she completed training for operations of Canadarm 2 and in Tsukuba, Japan, she trained for Kibo module operations. Columbus-specific training was completed in Europe. In February 2015, Rubins and her fellow crew members, Commander Anatoli Ivanishin and Spacecraft Engineer Takuya Onishi, were dispatched to a remote area in a forest near Moscow to undergo winter survival training for the event of an off-target Soyuz landing in case of emergency. The Soyuz TMA-19M backup crew went through final training and examinations in November and attended the launch of Soyuz TMA-19M in December, going through a full launch campaign flow to get familiarized with the procedure. 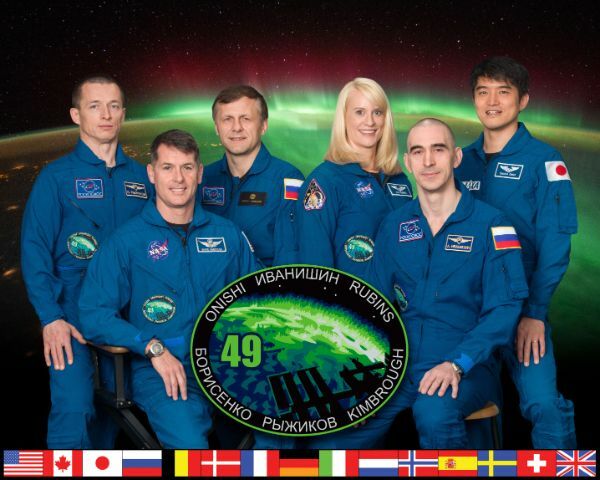 After completing their backup assignment, the crew entered their final six months of training at their home institutions and the international ISS partners before meeting up in Star City to complete final pre-flight exams. Rubins is married and in her free time she enjoys scuba diving & triathlon.